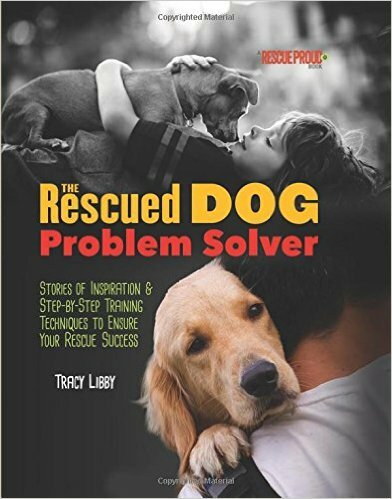 The Rescued Dog Problem Solver, by Tracy Libby. I-5 Publishing. $19.95. Rescue dogs come packaged with a checkered past and plenty of uncertainty. Consequently, fashioning a well-balanced guidebook for preparation and managing that waif has been almost non-existent until now. It’s not like you can turn to match.com or one of its equivalents and maneuver through a checklist of compatibility. Most rescue dogs come with no bio, and for those that do, it’s adopter beware, since these are often riddled with untruths from the releasing owner. Kinda reminds me of our little pistol, Maggie May, a 4-year-old Pembroke Welsh Corgi we adopted when she was a year old through a Seattle rescue organization. She had been purchased as puppy by an area eightysomething couple both being treated for cancer with chemotherapy. She segued into our household smoothly and has become a neighborhood and dog-park favorite. But she needs daily exercise and socialization just like any other young dog. Libby emphasizes the importance of your demeanor and emotions and its impact on your dog’s behavior. Again, the uncertainty of a rescue’s dog’s background makes a balance-beam training approach critical. In that respect, Libby offers up a nice mix of training techniques designed to make the adoption process smooth and to establish a bonding process from the start. Chapters address safe introductions, socialization, body language, bonding, barking, housetraining, submissive urination, separation anxiety, aggression, running away, high drive and special needs. There are accounts here of love at first sight but with warnings, too, that what you see within the psychological landscape of a shelter isn’t always what you get beyond its entry door. Make no mistake about it, the author notes that a rescue dog is a project and should be a lifetime commitment. It’s been rejected or discarded once, maybe more, and it can play with the animal’s psyche before it becomes your soulmate. .
Libby nimbly crafts a rationale for adopting a rescue dog, yet noting a wide mix of caveats, too. “The Rescued Dog Problem Solver” is packed with nuggets of wisdom and a refreshing delivery packaged in a colorful presentation of photos and breakout boxes of tips.